You know how the internet loses its mind whenever a studio considers rebooting something from the 1980s? That happened again this past week when Vulture reported that Warner Bros. was pondering a reboot/remake/revamp/re-whatever of Gremlins, its quirky 1984 film about mischievous green monsters running amok in a bucolic Norman Rockwell-esque town during Christmas. Revisiting the premise seems like a no-brainer from a marketing standpoint. It’s not like the main character Gizmo — a doe-eyed, big-eared furry little creature that speaks in infant-like coos — hasn’t been merchandized ad nauseum over the past three decades. Heck, you can find plush Gizmos alongside action figures of his slimy, sharp-toothed co-stars on Toys “R” Us shelves as I type this. A brand-new film opens the floodgates for an even broader selection of consumer products, and that makes perfect sense to me. Filmmaking is a business, after all. Yet, I should point out that although Warner Bros. is speaking with Amblin Entertainment head Steven Spielberg — who produced the original film and its sequel—it has yet to be revealed whether director Joe Dante has been included in any of these discussions. Dante brought the proper comedic sensibilities to the original Gremlins, and his tongue-in-cheek handling of its more madcap follow-up, Gremlins 2: The New Batch, made that film an instant cult classic. 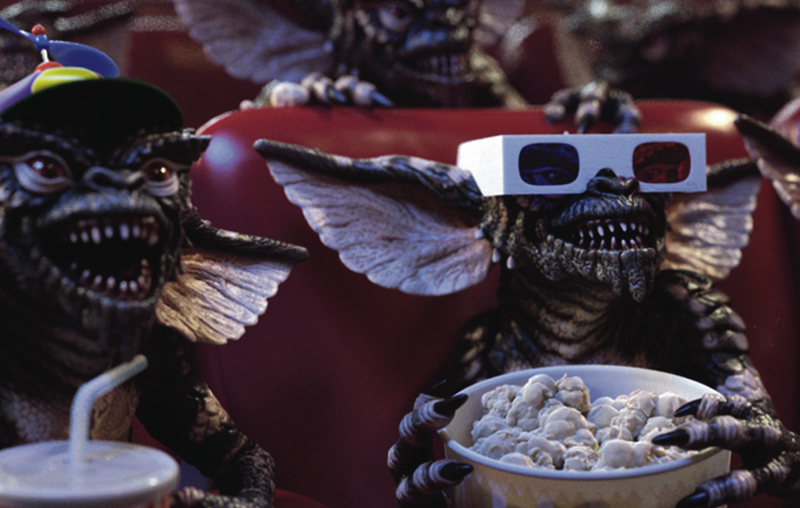 Without Dante, a Gremlins reboot would just be yet another goofy monster movie. And speaking of those monsters, it’s likely Warner Bros. will want to render the title characters digitally in lieu of the original films’ gruesomely detailed puppets. Sure, the original films were limited by the technology at the time, but CGI gremlins would be about as appealing as CGI Muppets. And if Warner Bros. even thinks about giving us a CGI Phoebe Cates in their Gremlins remake, I will anger-blog them SO HARD.